If you are beginning the process of buying professional power washers then you have come to the right place. We have compiled a list of questions you will want to answer for yourself before choosing the right model. If you have additional questions after reading, then please reach out to Pressure-Pro at 772-461-4486 or for help. 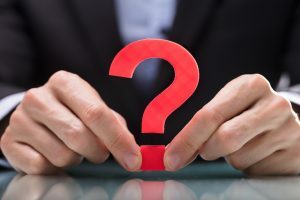 This is the biggest question and the fact of the matter is that many buyers aren’t sure how to answer it. They want enough power to get their job done, but they don’t want to overpay. But how do they know what enough power is? Or what a fair price is? The best way to know how much power you need is to consider what you’ll be using professional power washers for. If you need a ton of power then you can get an option with up to 5,000 PSI but this will be the most expensive option and it is not necessary for most needs. For example, a homeowner looking for a unit for big cleaning jobs would likely not need more than 3,000 PSI. if you are not sure of what levels you need, contact us and we can help. Are you going to need multiple spray tips? 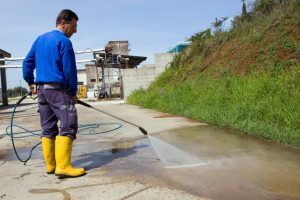 If you intend to use your professional pressure washers for a variety of tasks, some of which are light-duty and some of which are heavy-duty, then you may need numerous spray tips to ensure you can get the right water pressure for any job you need. 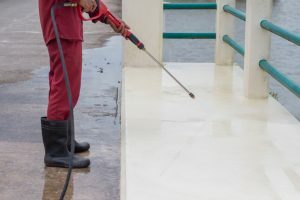 However, if you are in the business of using power washers for just one need, such as cleaning the exterior of homes, then you will likely need just one adjustable nozzle. How likely are you to complete maintenance? As is true of cars, a gas pressure washer is going to require maintenance. This can include checking the oil, changing the oil, changing spark plugs, etc. If you do not believe that you or your staff is likely to take on this maintenance then you may want to choose an electric model instead. Do you plan to use your professional power washers in a variety of places? Will you use it indoors? If you are going to be using it as a mobile cleaning device then you will need a lightweight model. If you are going to use it indoors then you do not want a gas model, as they can only be used in ventilated areas. If you will be moving it from location to location then a truck mounted professional power washer may be the right choice. As you can see, you have nothing but choices when it comes to shopping for pressure washers. 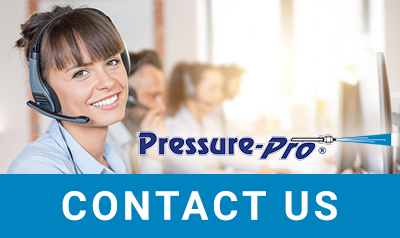 You will appreciate the huge selection available from Pressure-Pro. Reach out to us today if you need assistance. Are Cold Water Pressure Washers the Right Choice for You? With so many options in the pressure washer market, it is likely that you are wondering about the differences between cold water pressure washers and hot water pressure washers – and which is right for your needs. The truth is that there is no pressure washer that is perfect for 100% of people or companies. For this reason, Pressure-Pro is proud to offer a huge selection of cold water pressure washers, hot water pressure washers, pressure washer trailers, and everything else you need. That said, we know that many people are not certain which choices are right for their needs. You can always contact us at 772-461-4486 for individual help. In the meantime, you can read on to learn about some of the reasons that cold water pressure washers are often such a great choice. When it comes down to it, the top reason that most people who choose a cold water pressure washer over a hot one have a single reason: It’s the most affordable option. Cold water pressure washers are much more affordable not just to purchase but to continue to run and maintain as well. 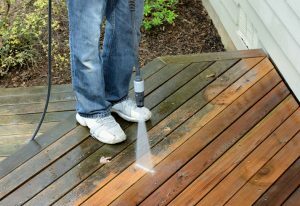 For this reason, they are a good choice if your top priority is price and if you do not believe you will use your pressure washer enough to justify a much higher price. 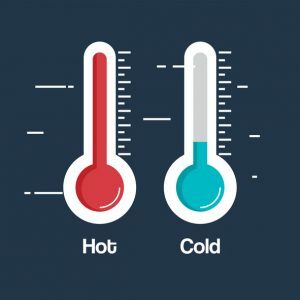 Due to the fact that they do not need to include a heating element, a cold water pressure washer is much simpler in construction compared to hot water pressure washers. 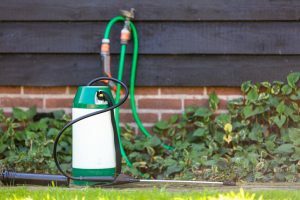 This means that there are fewer parts that could be damaged or break down – which means a longer lifespan for your cold water pressure washer – and it also means less maintenance. Compared to hot water options, cold water pressure washers are much more practical in part because they are much smaller. This makes them easier to move around, which is great for anyone who needs a portable pressure washer. It also means that they can be more easily used by people with less strength. As a result, they are often the choice for nonprofessionals. With a cold water option used without detergent, the entire cleaning process is due to pressurized water jets dislodging dirt form the surface. Many impurities can be broken down with nothing more than this force. However, if you have something that is oily or greasy, then a detergent may be needed. While it is true that some materials need to be removed with hot water, the right detergent can make a cold water unit extremely useful. To find out more about what type of pressure washer you need, and to shop an enormous collection, please reach out to Pressure-Pro at 772-461-4486 and let us help us help you find what you need.